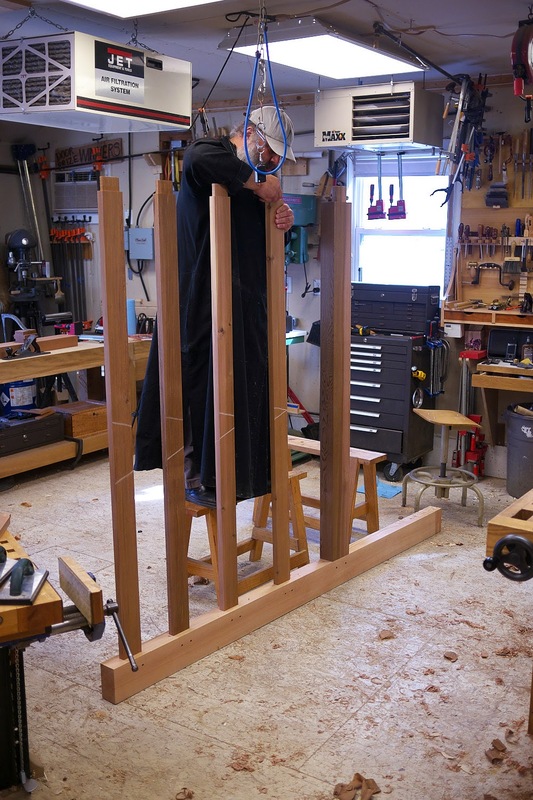 "I only have room for a 6' bench, how do I alter your Split Top Roubo plans to accomplish this?" Until we have a chance to draft some plans, here's some info that will help you alter the plans. 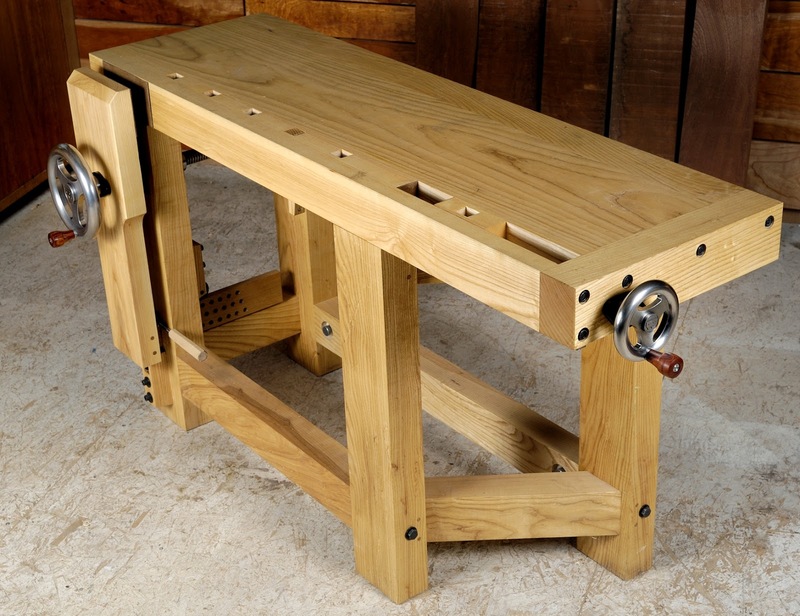 If you want to get full capacity from your Benchcrafted Tail Vise on really short benches (less than 72") you can make the base longer at the rear of the bench. 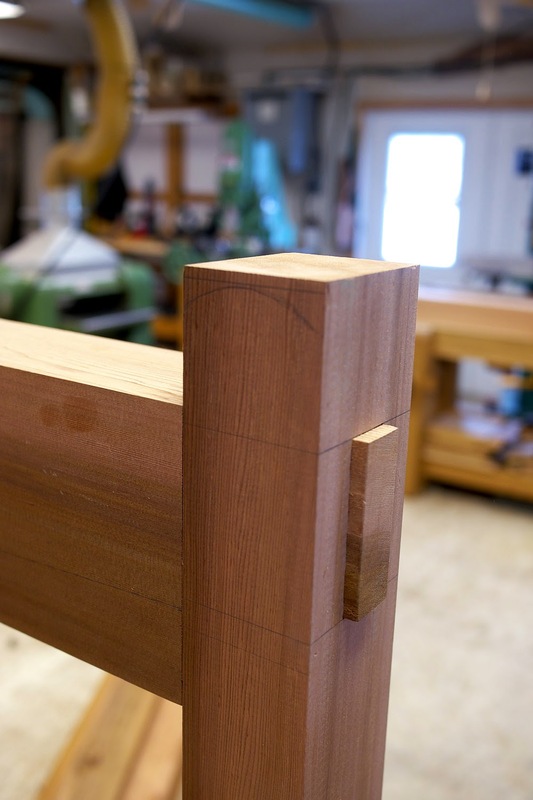 Angled rails at the top and bottom make this happen. 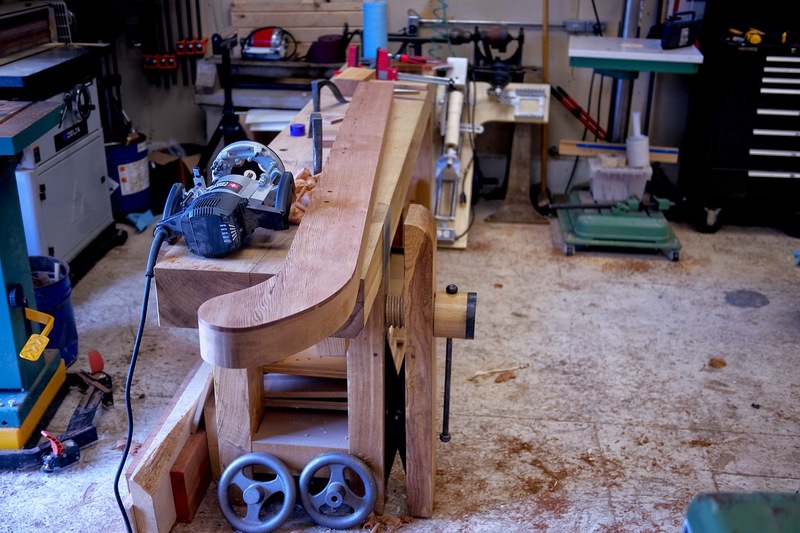 The bench pictured above isn't a split top, but you get the idea. 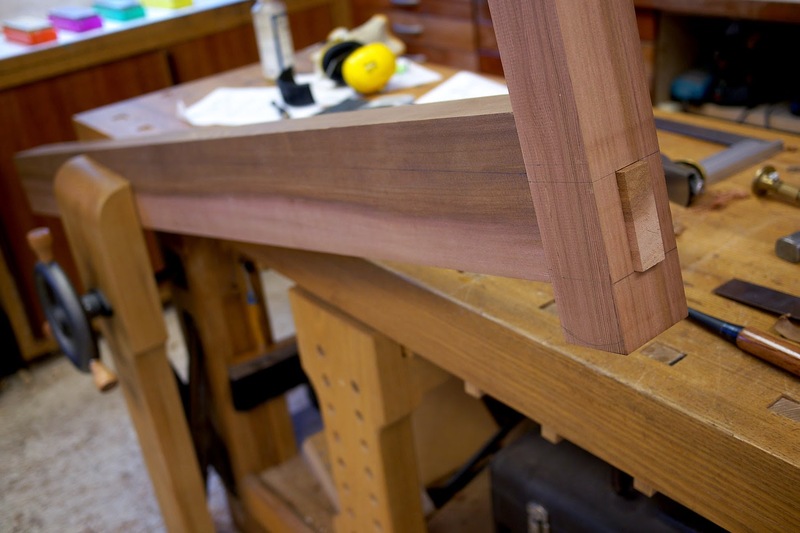 The tenons on the rails are also angled, so they fit into the perpendicular mortises in the legs. 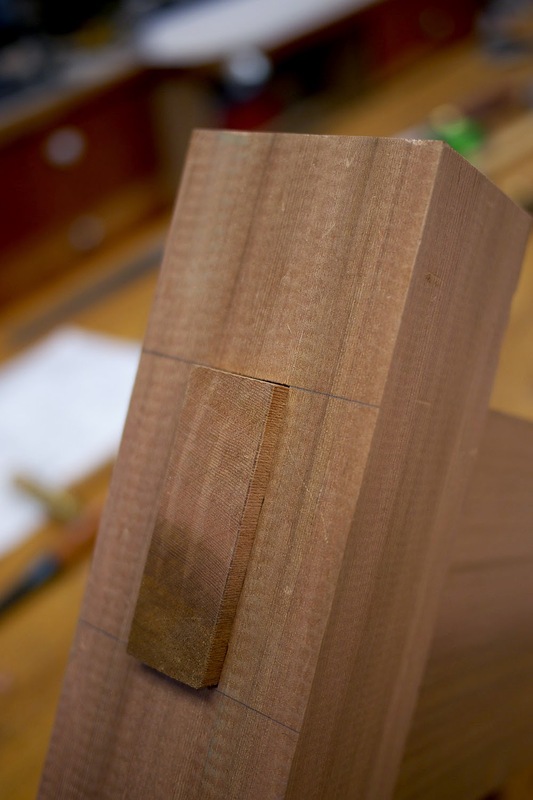 This is easier to cut, but it makes for a weaker tenon due to the short grain. 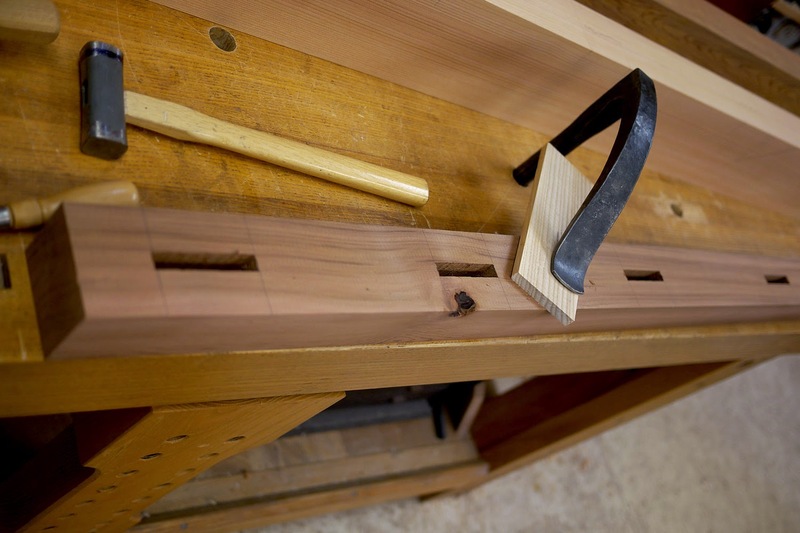 A better way would be to chop angled mortises and keep the tenons inline with the rail. 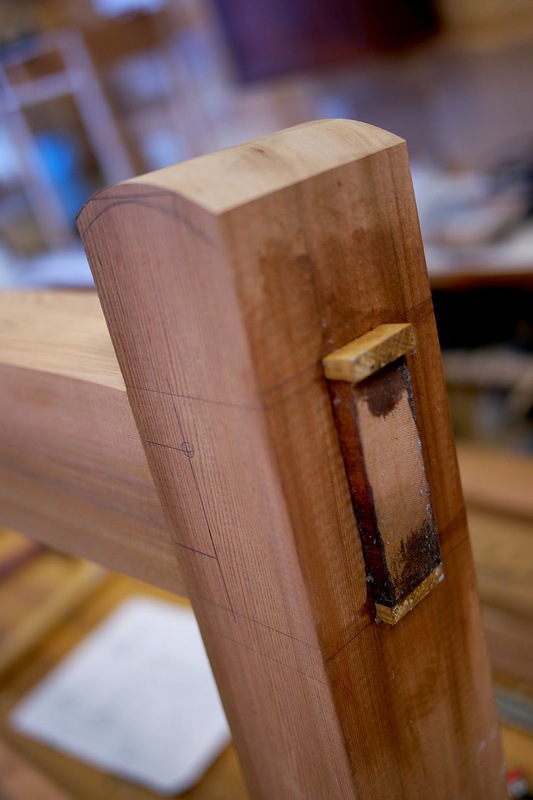 If you do the angled tenons, keep them beefy for strength, and drawbore them as well. We did this on the bench above, which is only 60" long. 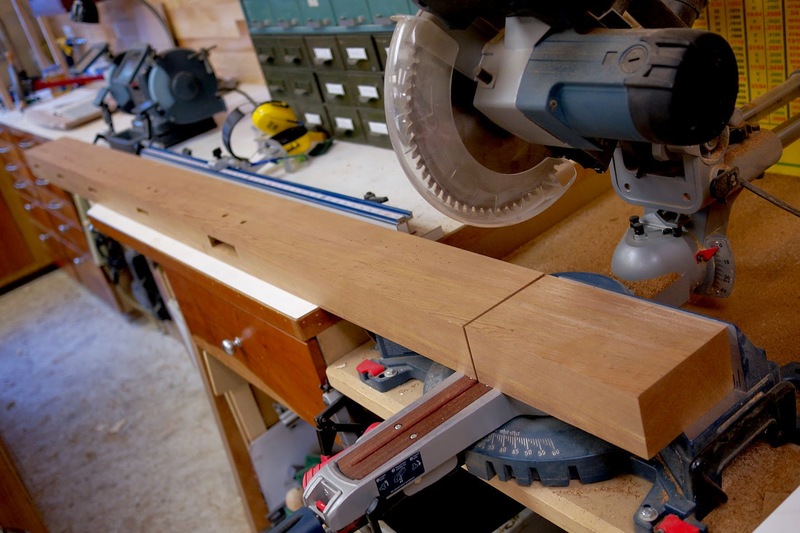 Camil Milincu did a similar thing with his 53" Split Top Roubo. 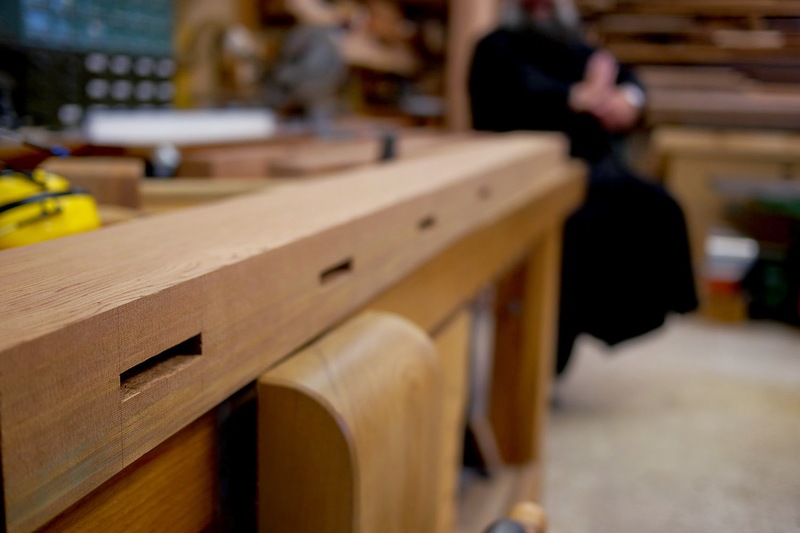 For more details on Camil's bench, see this post. 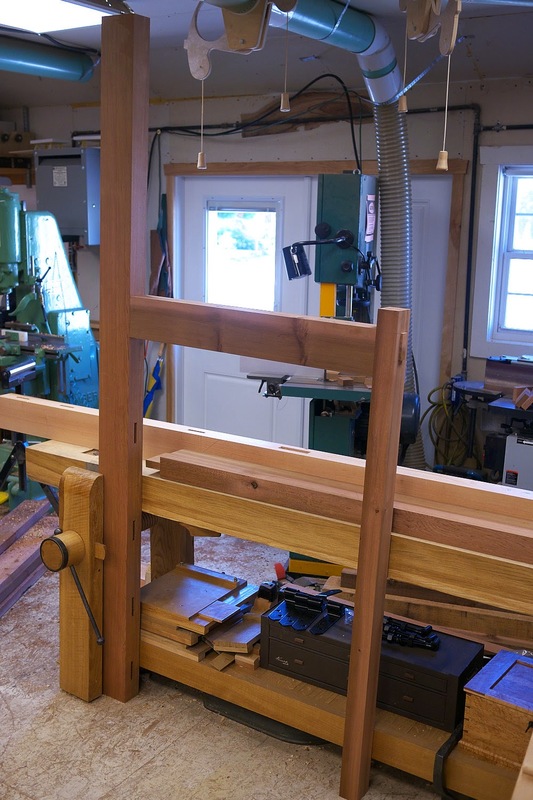 This is the best option for a 6' bench without hardly any changes to the plans. 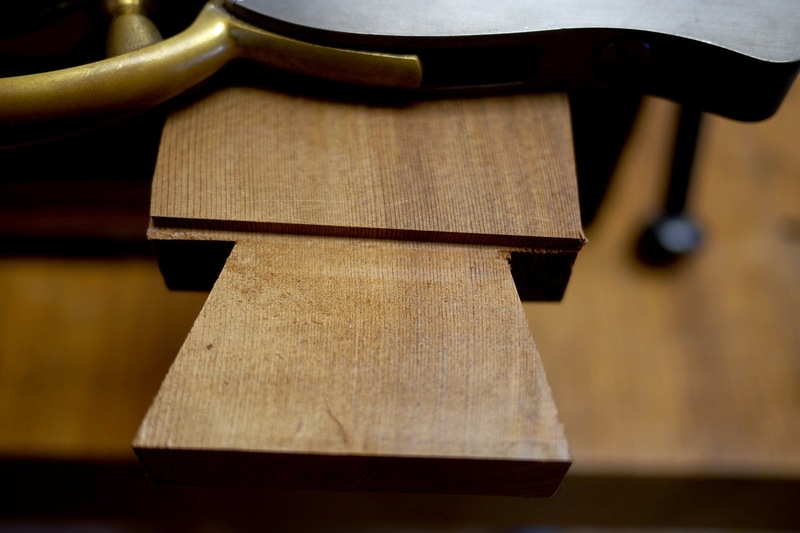 Push the top overhang at the leg vise end back so its flush with the left edge of the chop. This will buy you about a foot of length so you don't have to remove it from between the legs. 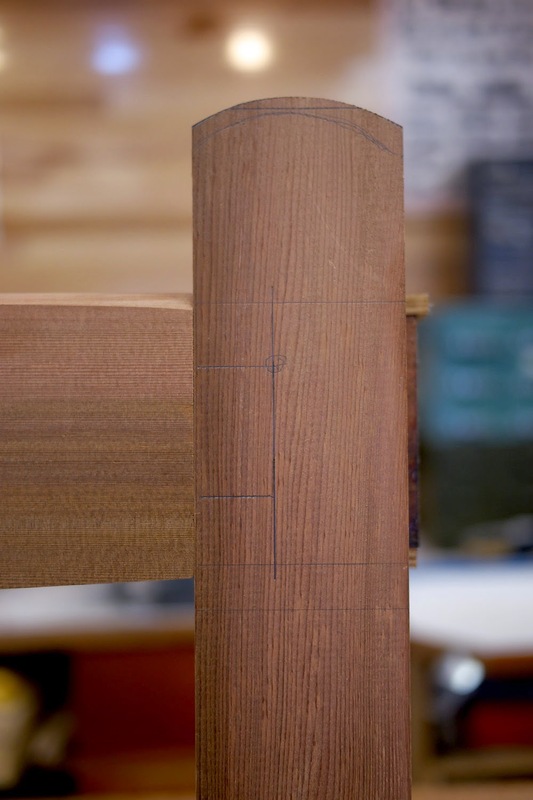 The plans call for a 14-3/4" overhang here, and if you make your chop the width of the leg (5-3/8") instead of the 9" in the plans (the narrower chop will hold just fine) the rest of the bench you can leave unaltered and you'll end up with a bench that's just 72-1/4" long. 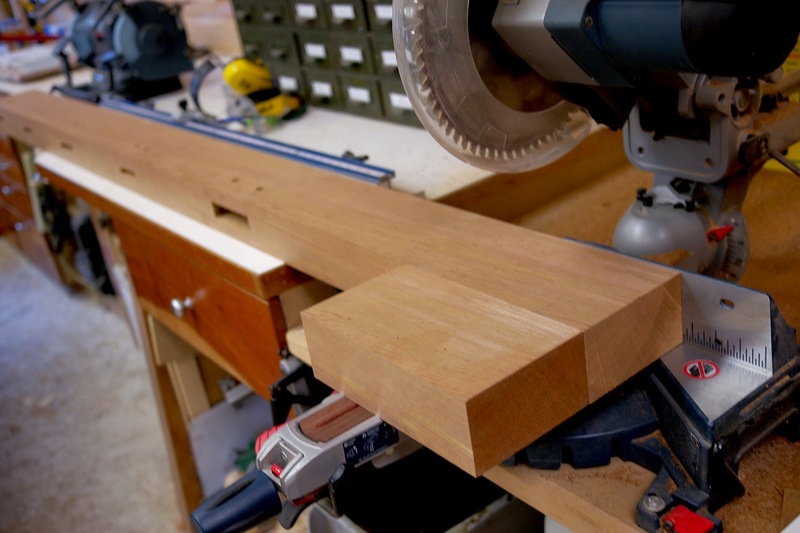 It will be very stable, even without angled rails. 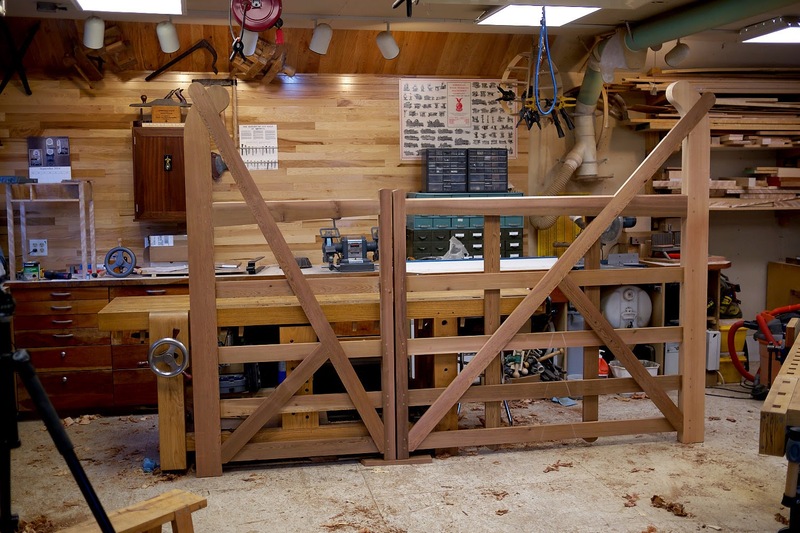 Here's the story behind the two English field gates we built over the last couple weeks. Traditionally these gates were used to contain livestock, but they are also quite popular nowadays for containing human livestock and livestock of the horseless (carriage) variety. We're using them to hopefully prevent deer from wandering into a garden. 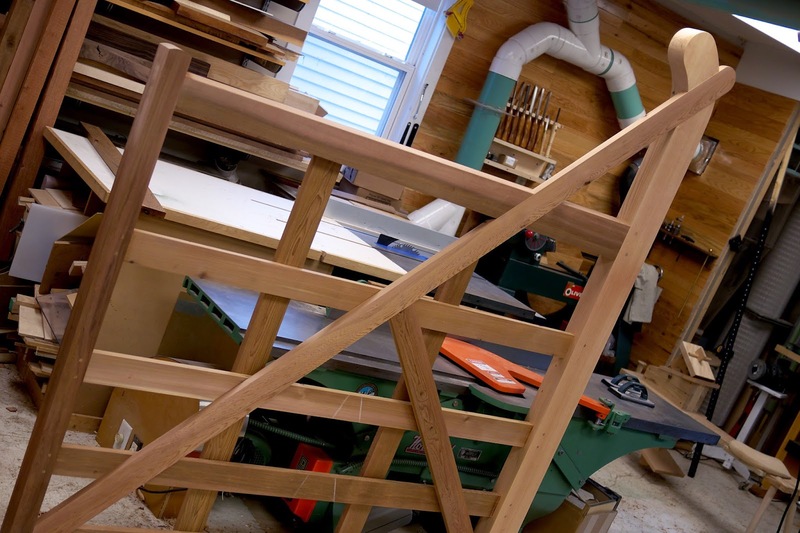 I first took a serious interest in these types of gates when I stumbled on an article by Paul Sellers in an issue of Woodwork magazine (#116.) The aesthetically pleasing form of the gate, which stems from its engineering caught my eye immediately. I quickly started looking for an opportunity the build one. I did a fair amount of research while designing the two gates, here's some of the more interesting aspects of what I discovered. 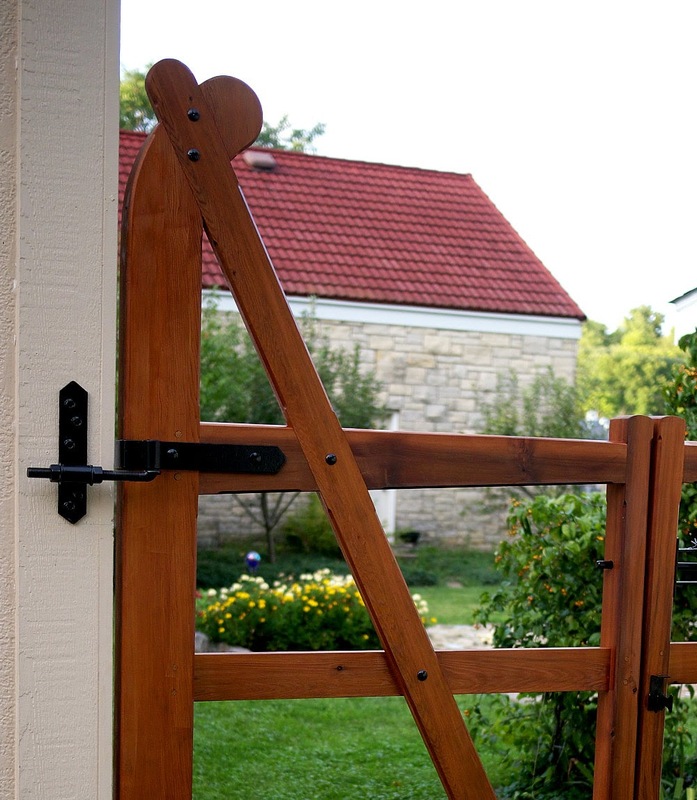 - The gates are traditionally made from air dried oak. 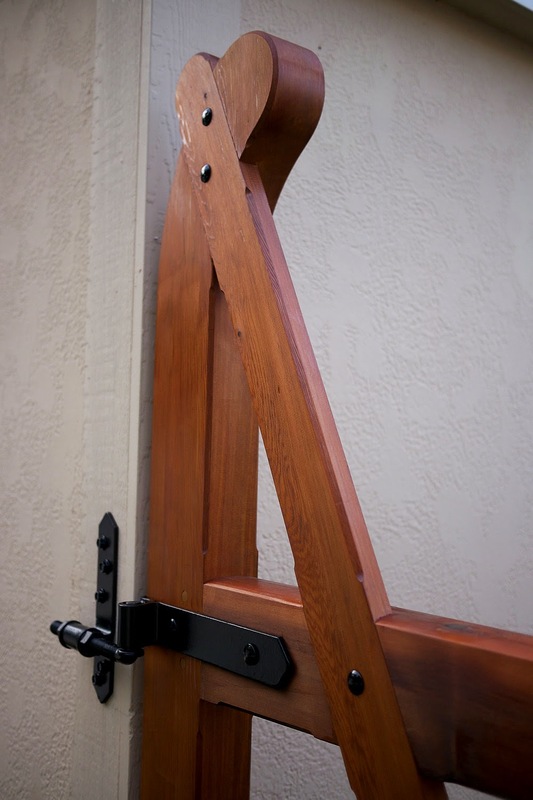 - The harr stile (hinge stile) was usually made from a piece with a natural bend (crook) for the most strength. 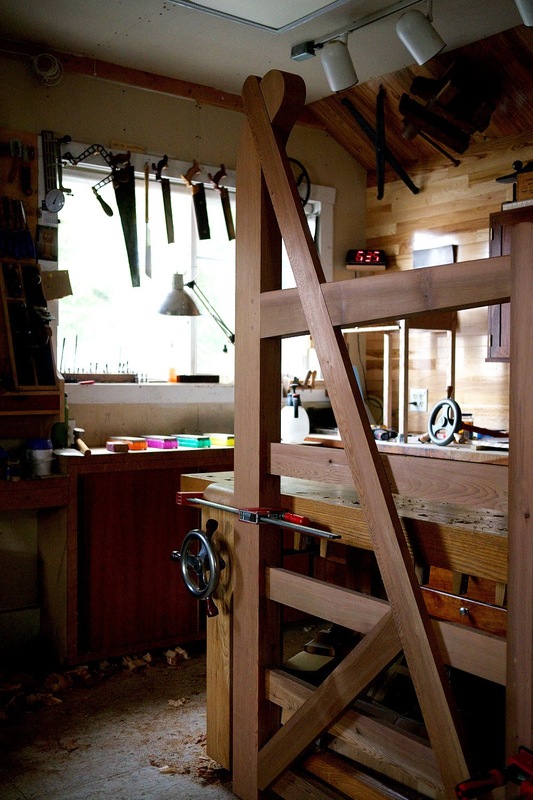 - Only the harr stile and the top rail are made from massive timbers. 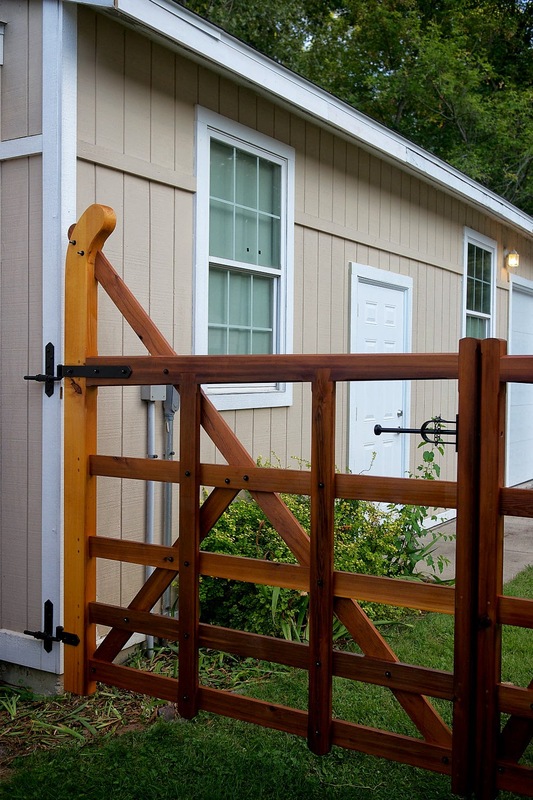 The rest of the gate is made of lighter, thinner stock. 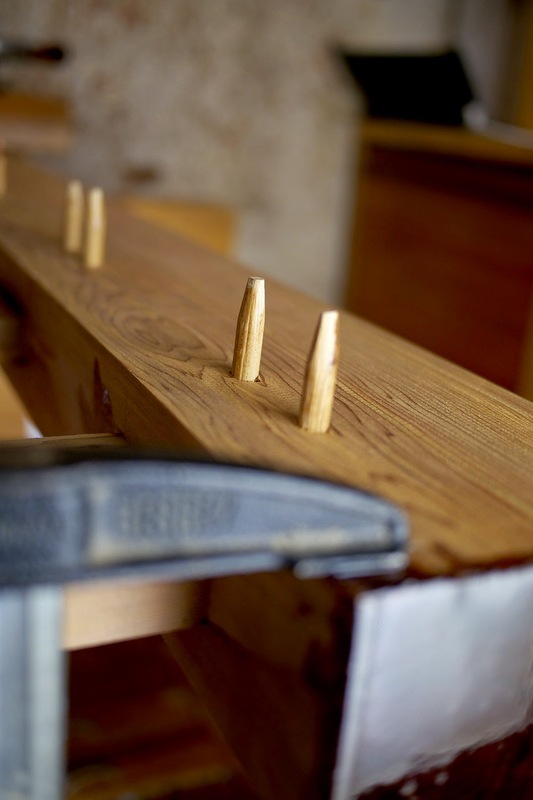 - The top rail tapers in both in width and thickness to reduce weight at the latch stile. 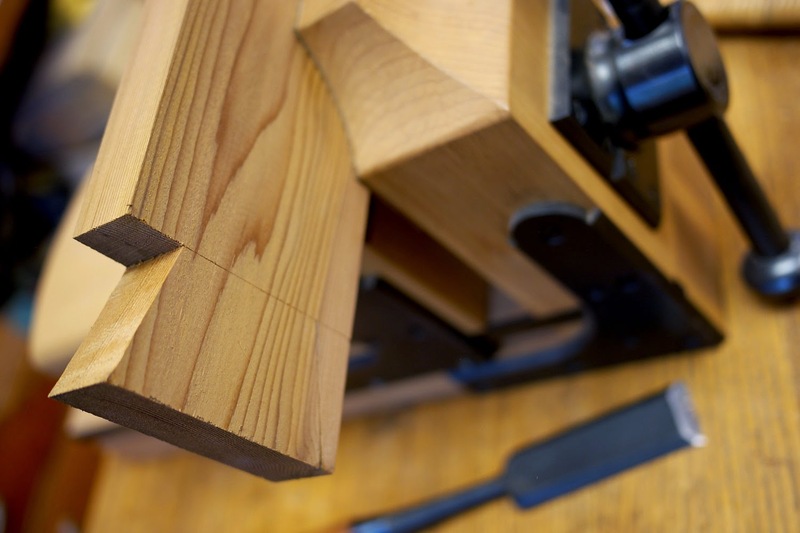 - The joinery is robust: through wedged tenons and drawbored mortise and tenon. 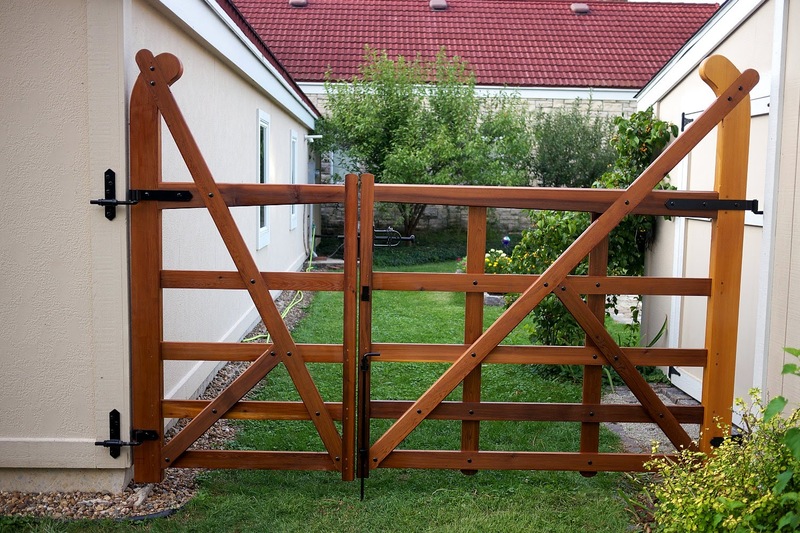 The gate is superbly engineered to prevent sag. 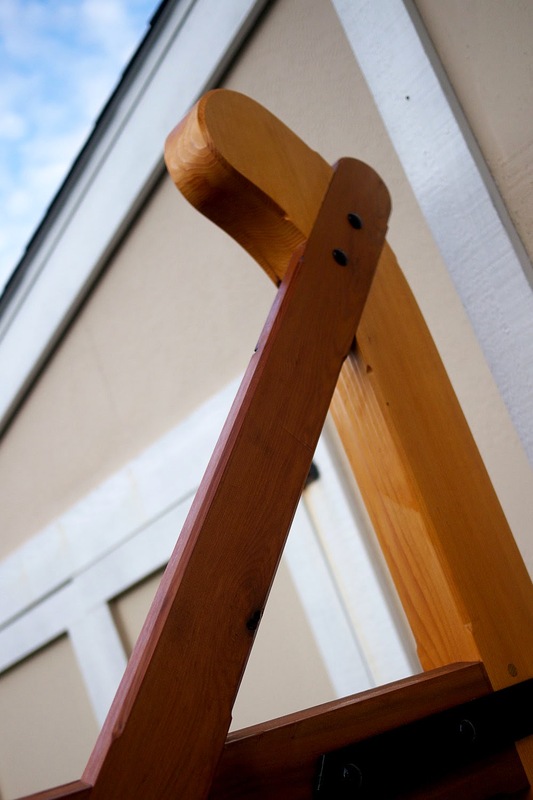 The harr stile, top rail, and angled brace form the rigid structure, and the rest "hangs" from this structure. 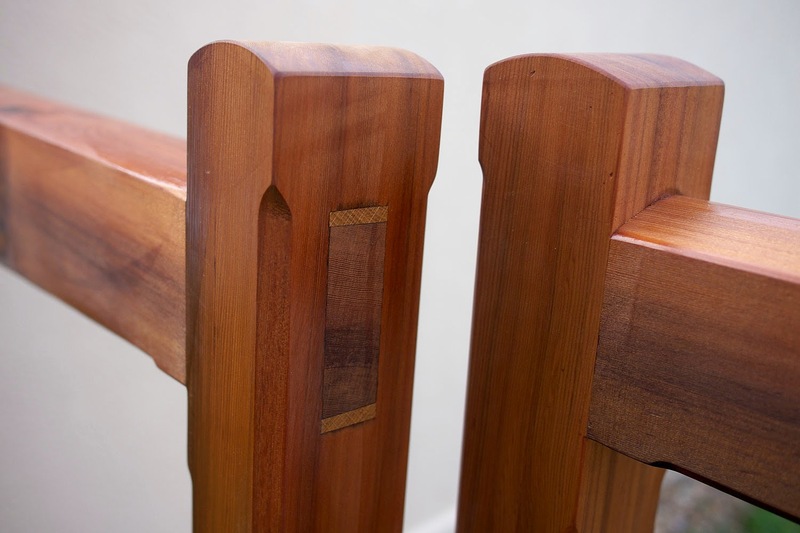 The top rail diminishes is both thickness and width from hinge to latch to reduce the weight at the area it can do the most damage. The drawbored joints keep everything immobile. I'm a big believer in super rigid construction. Once a joint starts to get even a little loose, there's little keeping it from getting worse. In addition to the article in Woodwork, we also referred extensively to Alan and Gill Bridgewaters's Building Doors and Gates (Stackpole Books) This book provides loads of design and engineering advice, as well as construction techniques for building these traditional gates (plus many more styles). It even provides info for setting the posts the traditional English way so they will last longer than you and likely your children. It's a fantastic book with solid info on classic techniques. Not your typical weekend warrior "Time-Life" stuff. You can preview the book via Google Books, but if you plan to build a door or gate sometime, buy the book. So with all that tradition in mind, here's what we did differently. 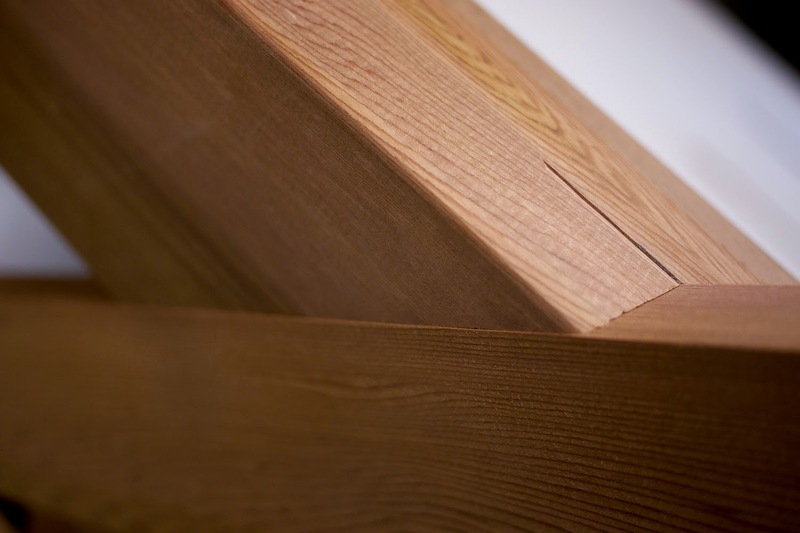 We used western red cedar instead of oak. 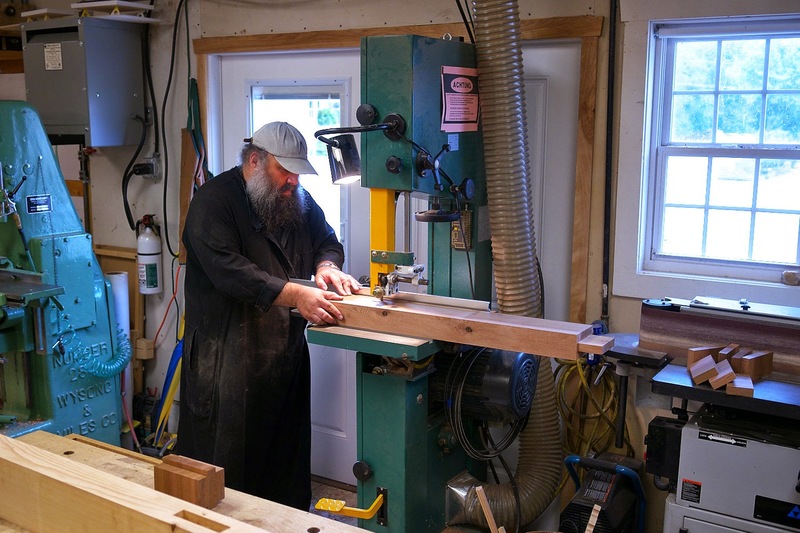 We have a small sawmill that will cut oak to order, but we couldn't wait for the wood to get even partially dry. We needed the gates before winter. So we spent a morning at (get ready) Menards and picked through their entire stock of 6x6 western red cedar. We were able to get all the thick stock for the gates (and then some) out of the 6x6 material. All but one stick was dry. I'm guessing they don't move a lot of this stuff, I bet its been sitting there for some time. 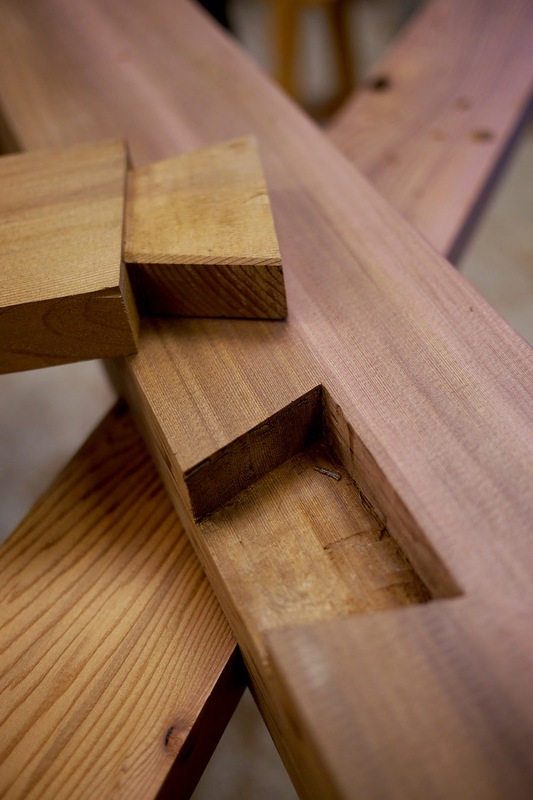 We resawed the 6x6s to get the final 3"x5" pieces for the hinge stiles and top rail. 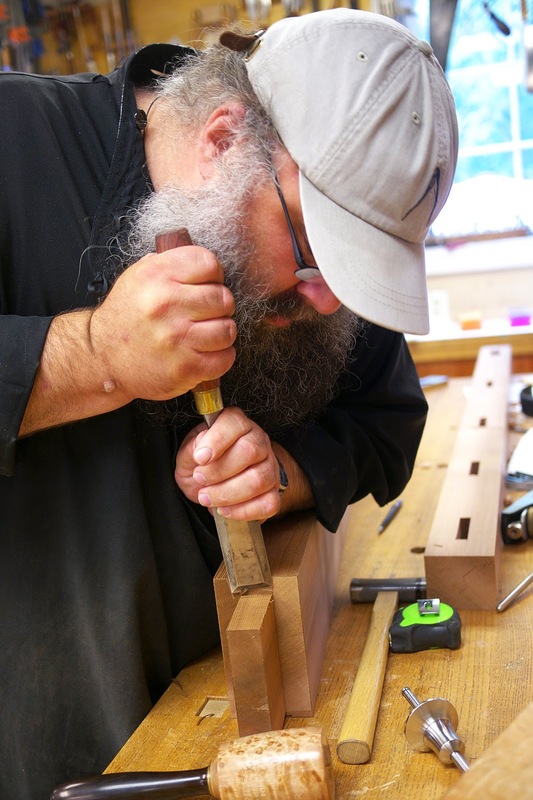 The 1"x3" rails and angled braces came out of 2x6 material that we ripped and planed down. These came from 16' boards that were 90% clear and straight. 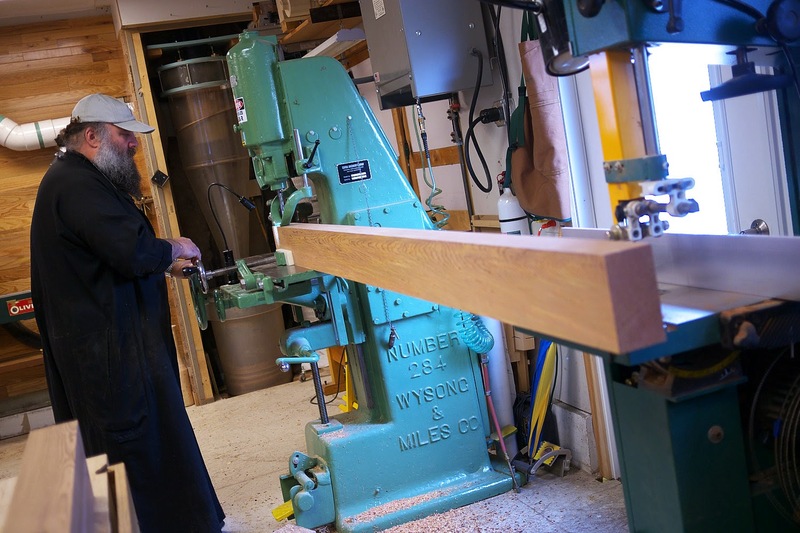 When selecting dimensional lumber I always buy the longest, widest boards I can, they are in every instance better quality than the shorter stuff. 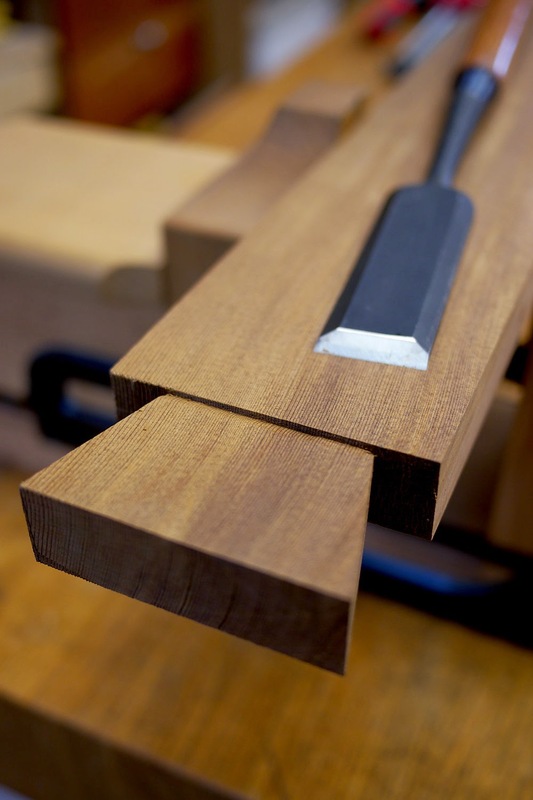 The grain on some of the stock was so excellent I was tempted to resaw it into soundboards. The dark color is supposedly more rot resistant. All but one board was deeply red. 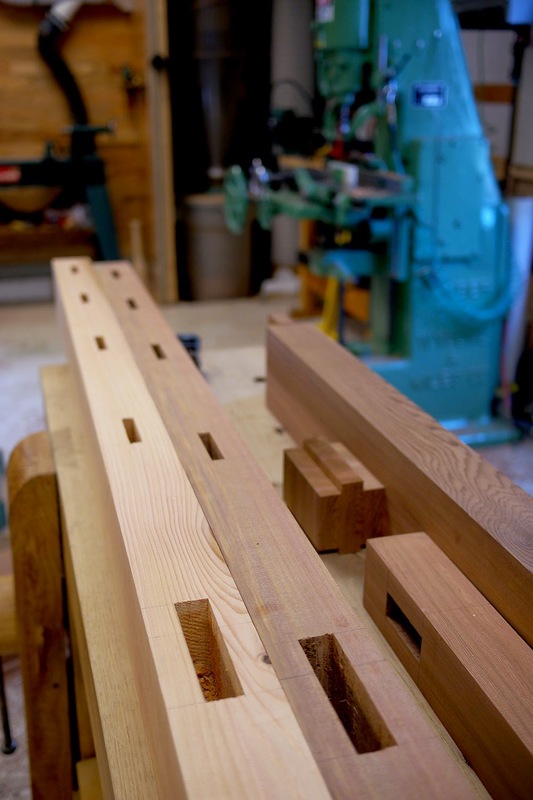 And yes, we did save big money at Menards, paying just over $2 a board foot for the cedar. We only tapered the top rail in its height. 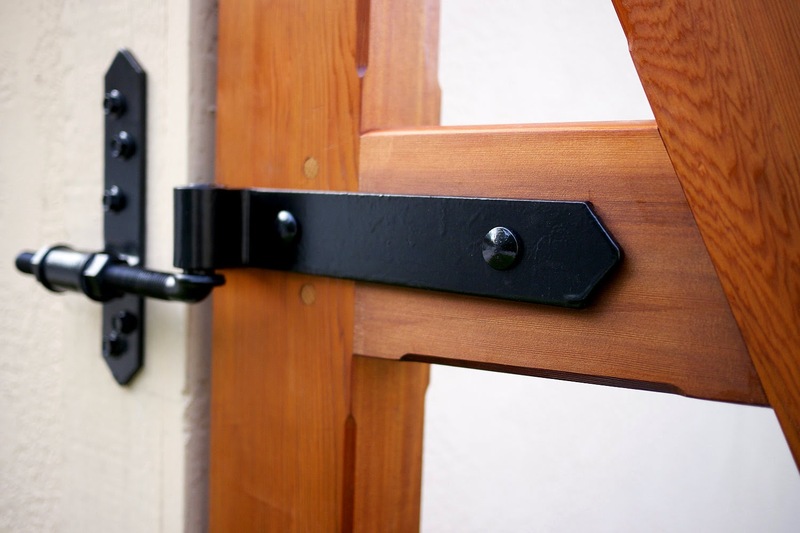 We wanted to keep the latch stile full thickness to speed and simplify construction. 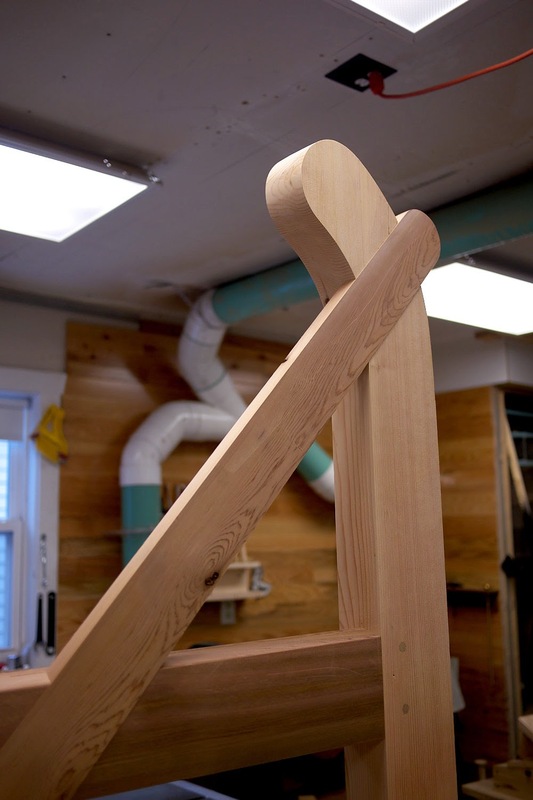 I wasn't too worried about the loss in weight savings with the lightweight cedar. We cut the top of our harr stile off and glued it to the side of the stile to get the crook. 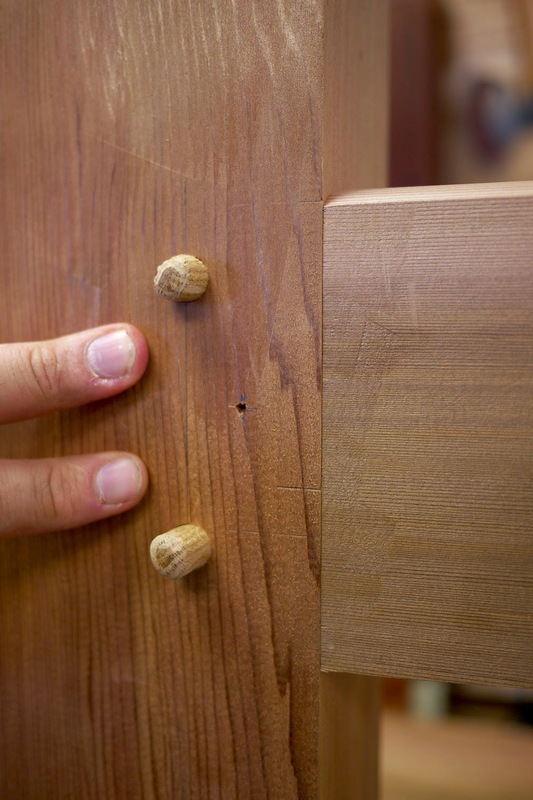 We made sure to position the lag screws in the main part of the stile and the not the added portion. 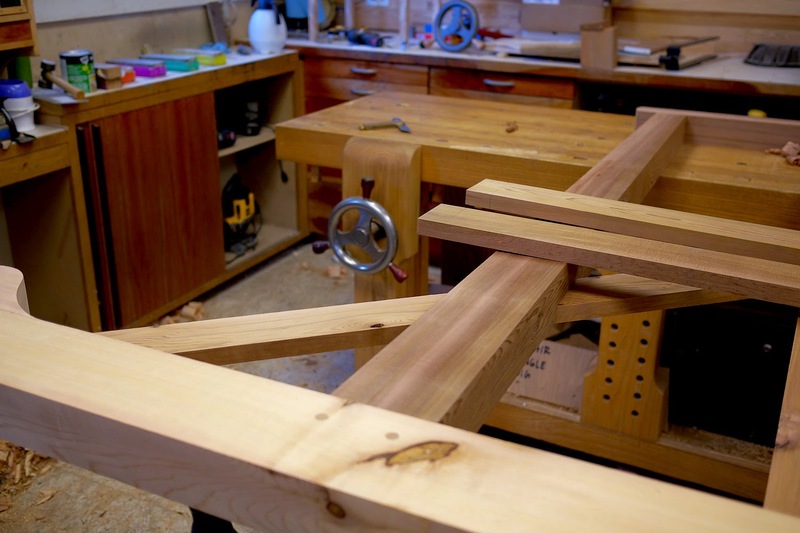 We did through wedged tenons to join the top rail and latch stile. 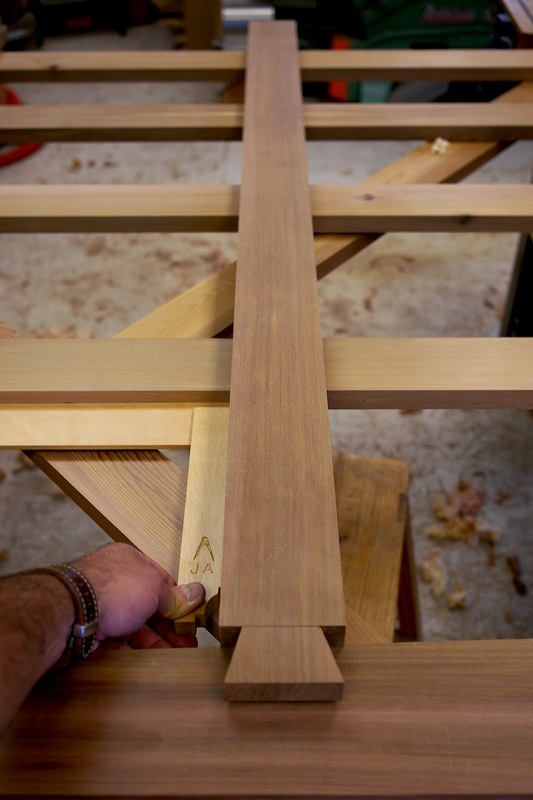 Everywhere else we cut blind drawbored mortise and tenons with straight-grain white oak pegs. Both gates were assembled with West System epoxy, and we also sealed the end grain at the bottoms of the stiles with the same so they didn't wick up moisture from the snow or rain. West System is the only epoxy we use around here. We like to buy the quart can of resin, pair that with a pint of hardener (we use fast most the time) and finally the pump set, which meters out exactly the correct amount of resin and hardener everytime. 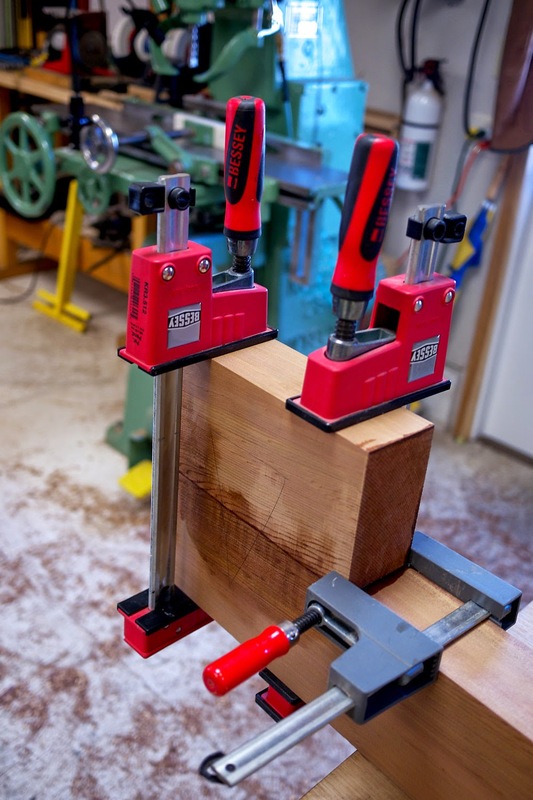 It seems expensive, and you do loose some epoxy if all you do are small jobs, but we've found that the added cost usually evens out if you consider the higher cost of buying syringes, which eventually go bad anyway. The West System last for years, and its top quality. It's the stuff boat builders use after all. 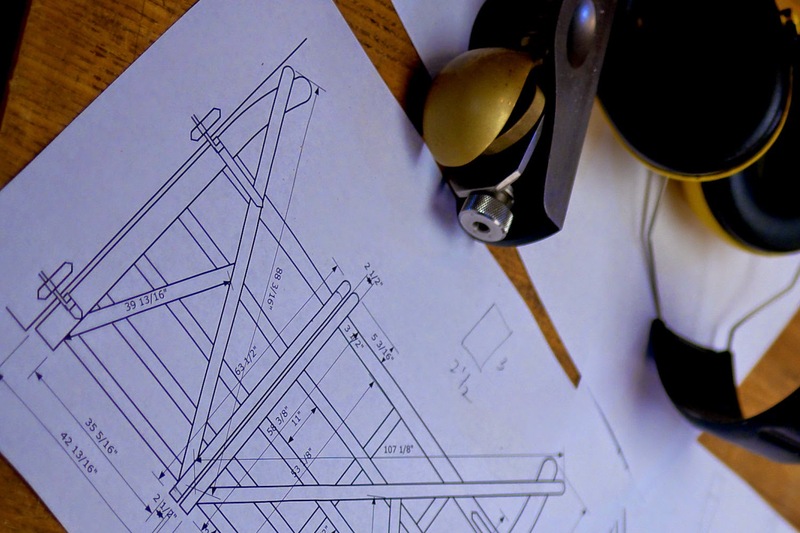 We tried to find the best hardware we could find without going broke. We sourced this from Snug Cottage Hardware. 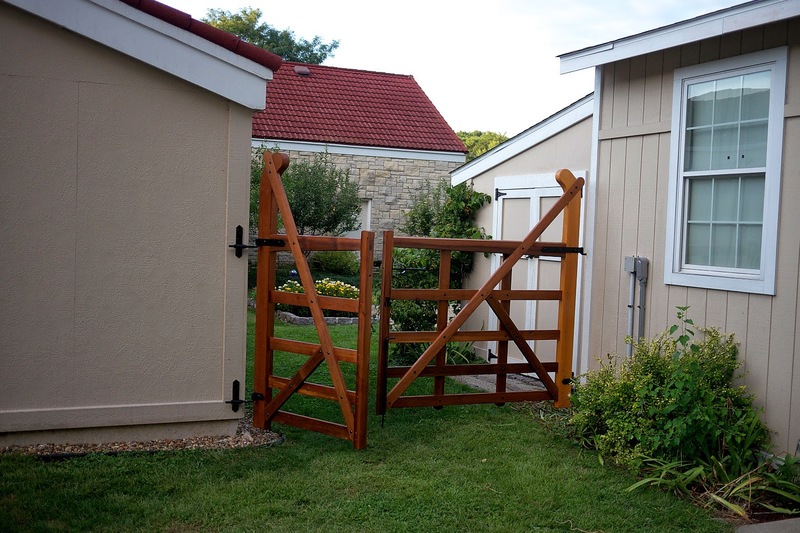 They have a great selection specifically designed for heavy gates like this, as well as free plans to build a number of different gate styles. And almost everything is available hot dipped galvanized and black powder coated (that's what we bought.) We've bought the black painted garbage from the big box stores before. It rusts. That's not a problem if you like that look, but we wanted these to stay black and hold up. The carriage bolts that tie all the 1x3's are stainless. We spray painted them black to match the stuff from Snug Cottage. 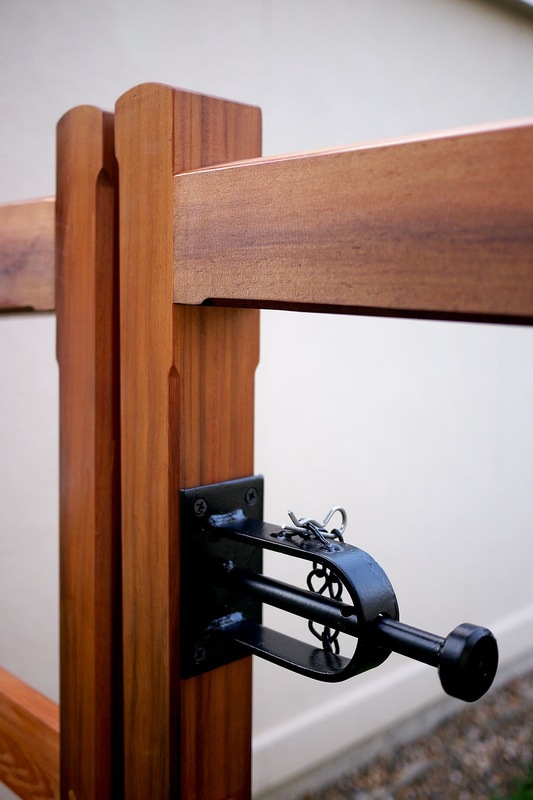 It would have been ideal to connect the hinges via through bolts, but it was impossible with the attachment at the corner of the buildings. We opted for exterior Spax lags, also spray painted black to match. We oriented the hinges so the gates hang on the lags in a shear arrangement, there is only weight on the threads when the gate is open. Overall span of both gates is 122". 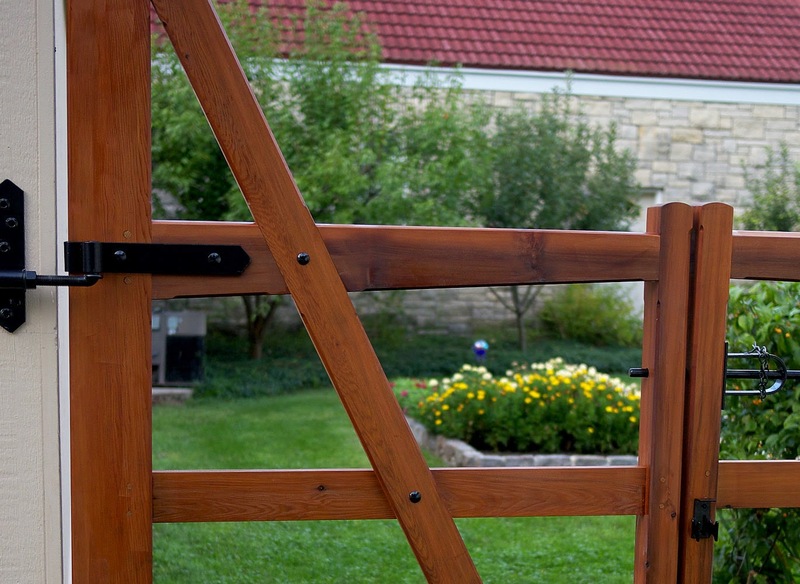 The gates are finished with one coat of Sikkens Cetol SRD in natural color. We did a fair amount of research on this. 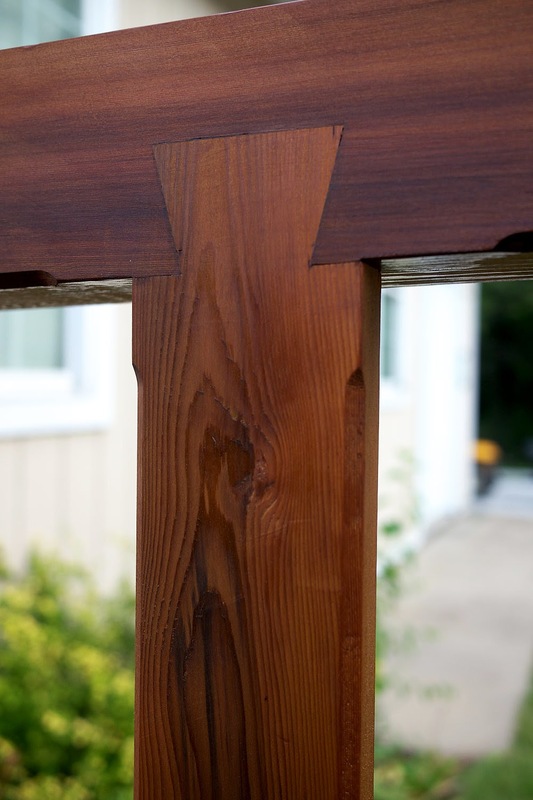 The #1 choice for exterior finish is Epiphanes varnish. We have a friend who did his deck chairs with it several years ago and they still look great. The product is $45 a quart, and requires seven (!) coats. We ruled that out straightway. 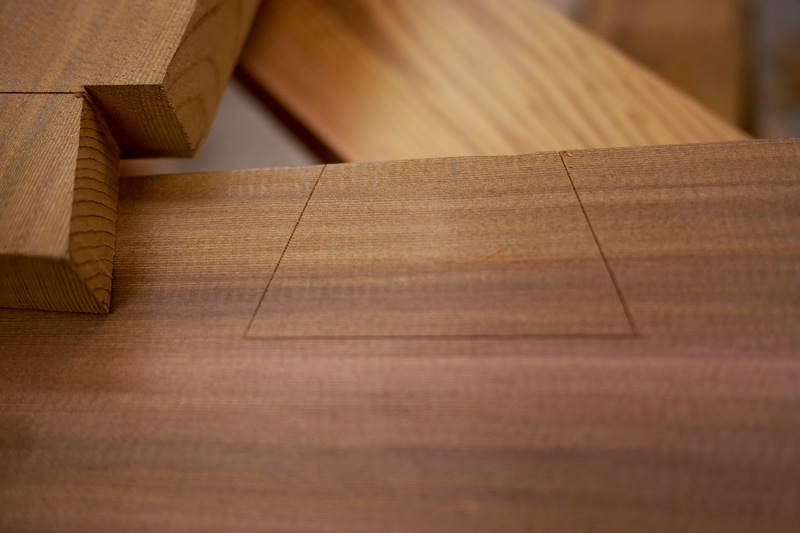 The Sikkens Cetol 1 and 23 is a two-step finish that is supposed to be extremely UV resistant. It's $85 a gallon, and you must buy a gallon of each. That was also out of our price range. The Cetol SRD gets great reviews, and is $45 a gallon. We were tempted to simply leave the gates unfinished, and they may eventually end up that way, but for $45 we figured we'd give the SRD a shot. It only requires one coat. 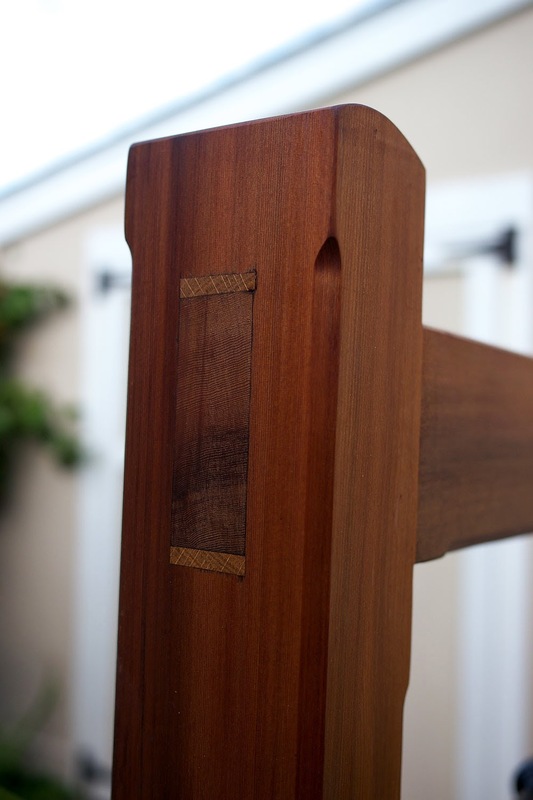 Needless to say, we were pretty thrilled with how the gates turned out with the finish applied. 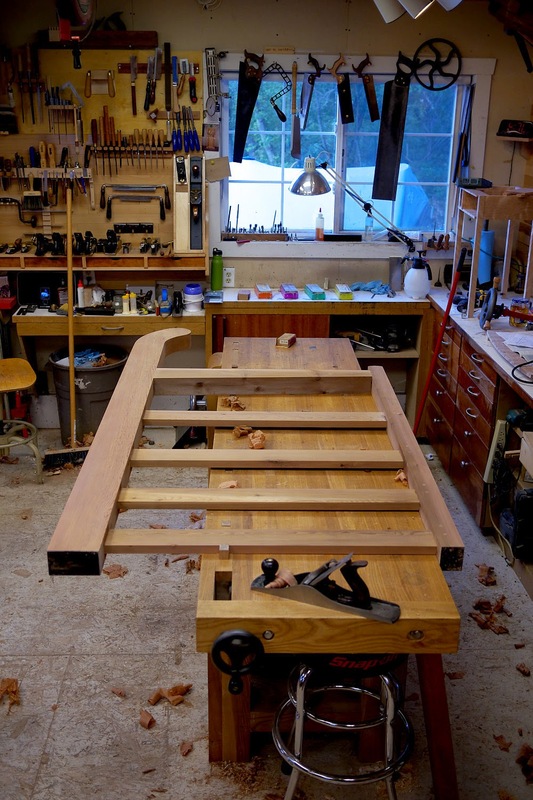 Next on the docket, Tony Konovaloff's trestle table from FWW #106. 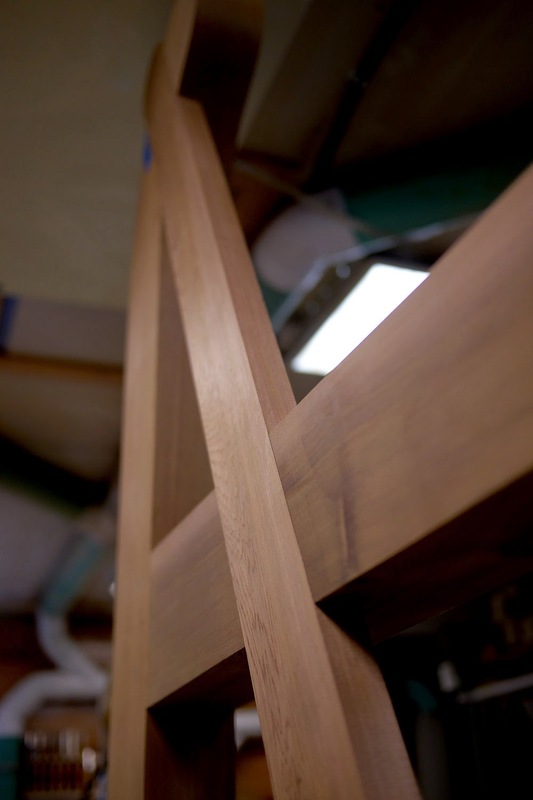 I've wanted to build this piece since the first time I laid eyes on it when I was 20 years old. 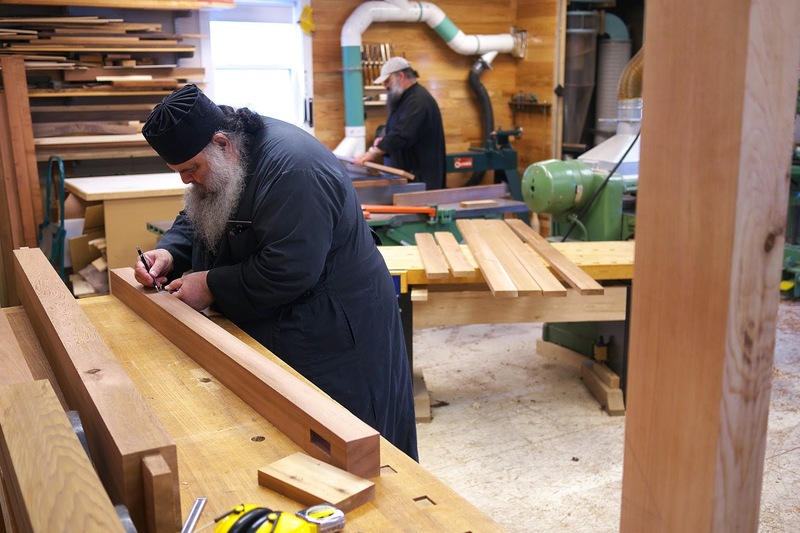 We may have enough cedar left over to make it. 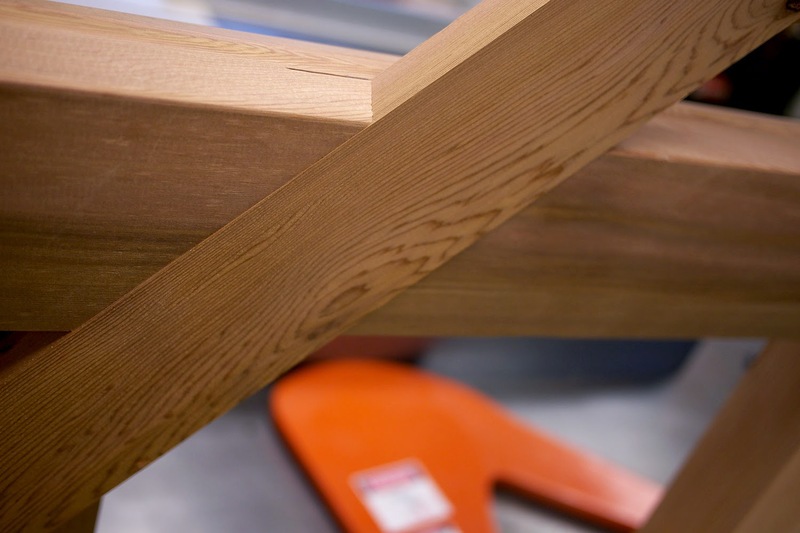 We shot some video during part of the build. No music, and little editing in this one. We wanted to show the natural pace of work more than anything, and also how sweet the new Glide is for holding big stuff. 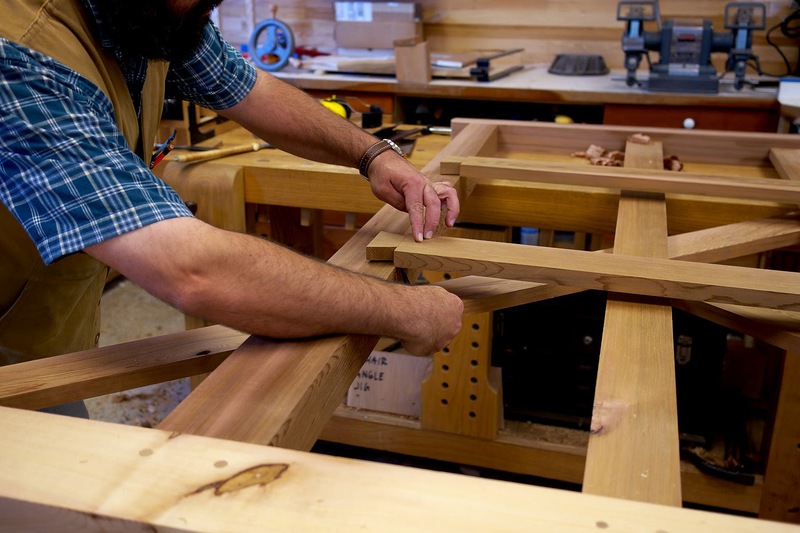 It's so great to be able to hold massive timbers with only a little flick of the wrist. Finished up the final part of the retrofit today, including both the new Glide and the Crisscross. All I can say is wow!! 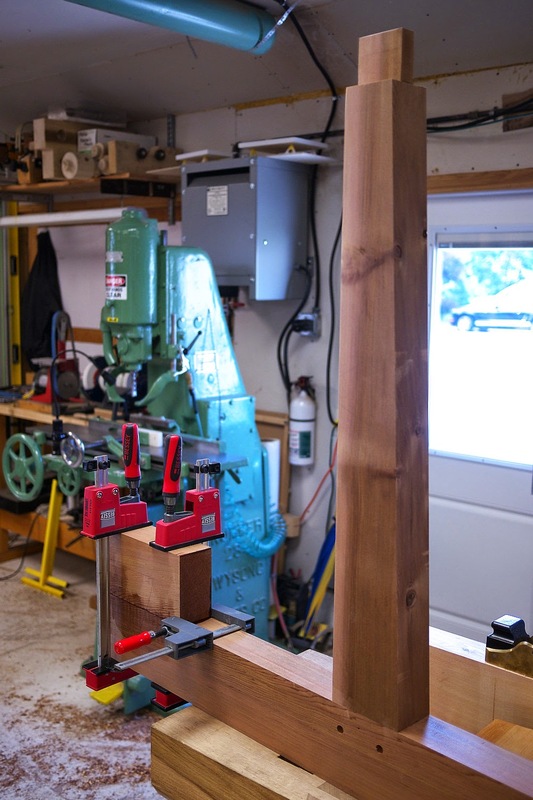 I am able to close the vise from a full open position with a quick flick of the wrist. 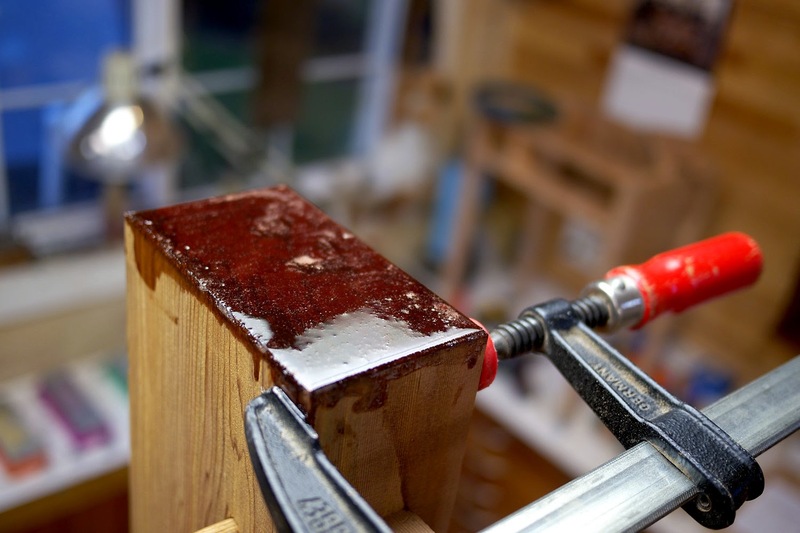 And the hold is strong enough for me to lift the bench with the workpiece. That's without the suede on the chop! Incredible. Just wanted to let you guys know you once again impress the heck out of me with the quality of the hardware! 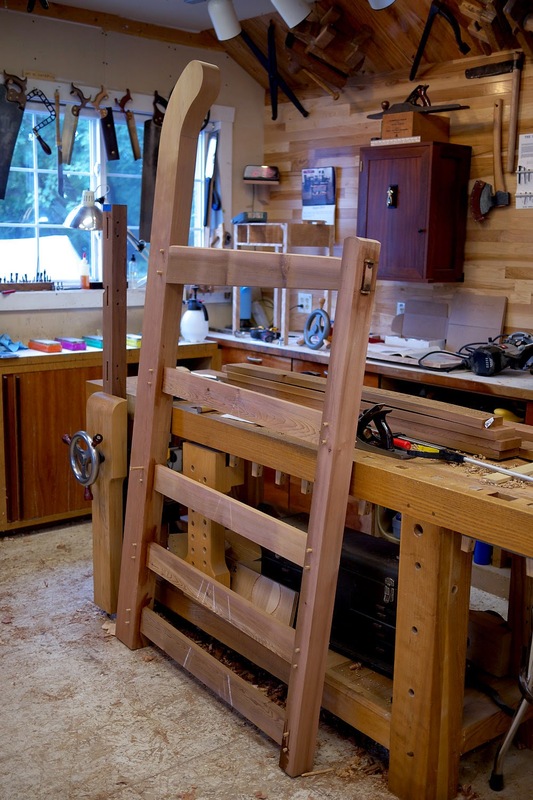 In case you've been sleeping under a rock for the past few years (and we feel ridiculous even saying this) Marc owns and operates the online woodworking community/school The Wood Whisperer. 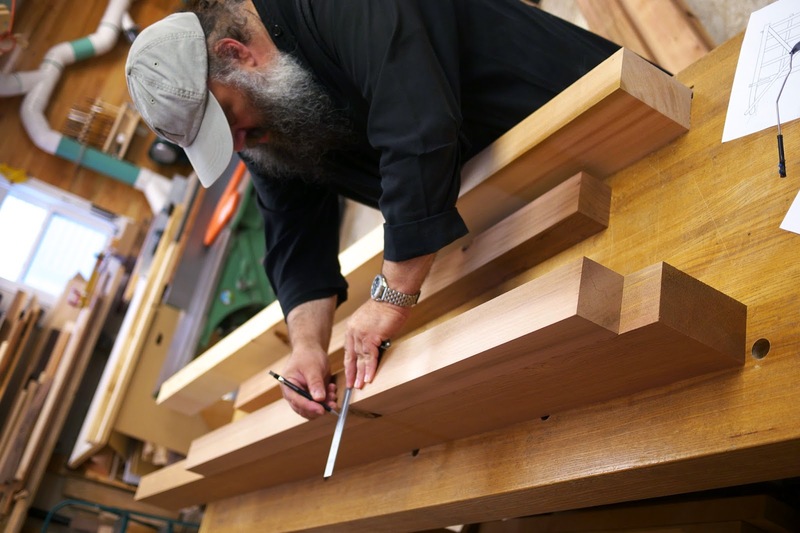 Marc built our Split Top Roubo as one of the Guild builds a few years ago. 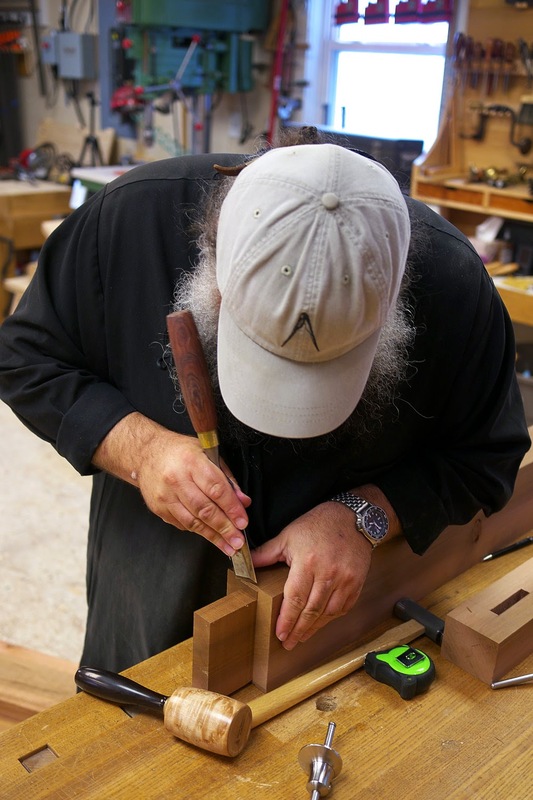 Until we get time (and develop a personal relationship with Francis Ford Coppola) Marc's video series is still the best option for building our bench if you need visual step by step instructions. Marc covers all the bases in minute detail, and gives you more info than you need (the good kind of more.) 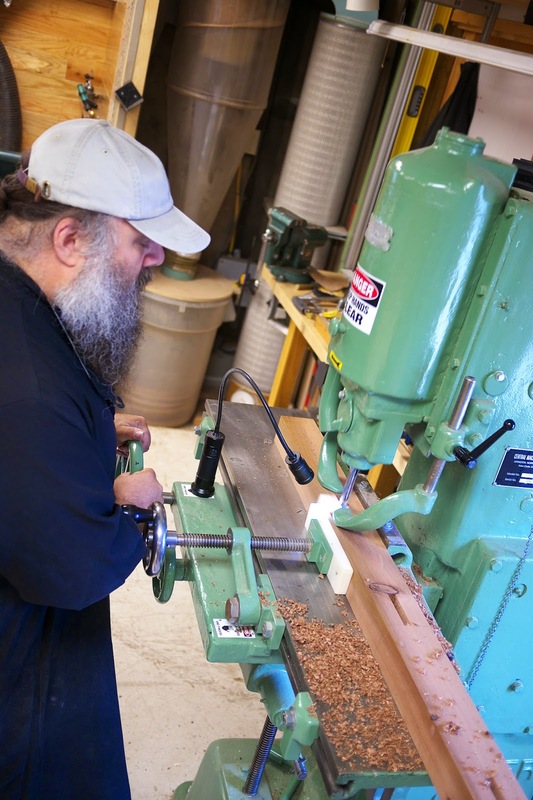 We imagine Marc will be covering his retrofit on the Wood Whisperer website in the future. Now In Stock - The New Glide and More.